Nikos Cassiopeia was established in 1981 and is licensed under the Greek National Tourism Organization (GNTO). 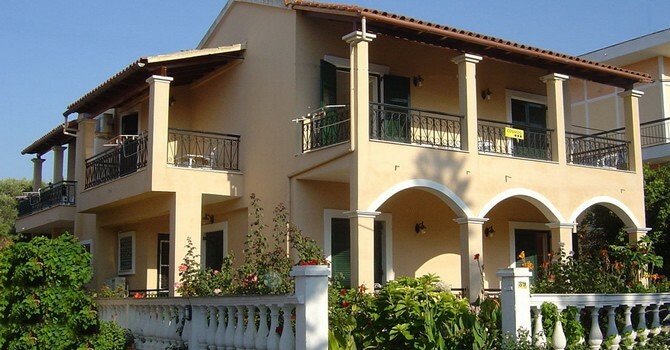 It is located in the beautiful village of Kassiopi Corfu. 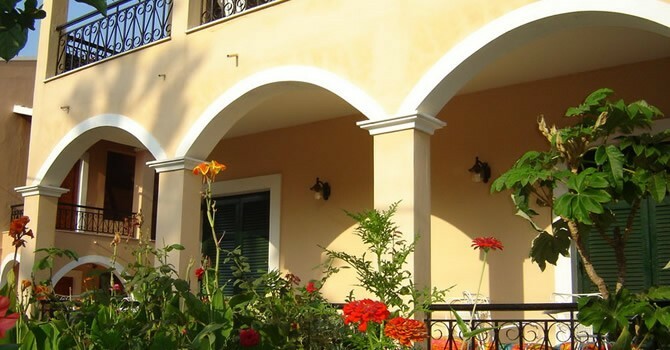 Nikos Cassiopeia consists of a studio for up to 2 persons and three two-bedroom apartments for up to 4 (folded beds can be added to accommodate 2 children under 10 years old). 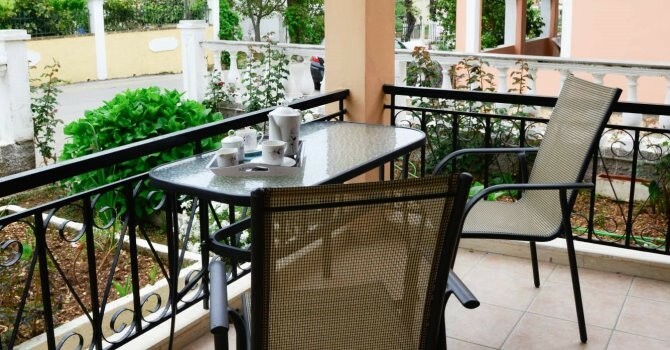 Spacious bedrooms and nice balconies provide the perfect opportunity for relaxation. A yard full of flowers also surrounds the house. 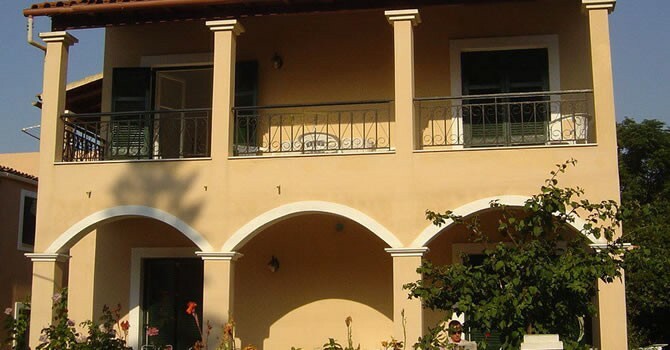 Thus, a very good choice if you are looking for Kassiopi accommodation. 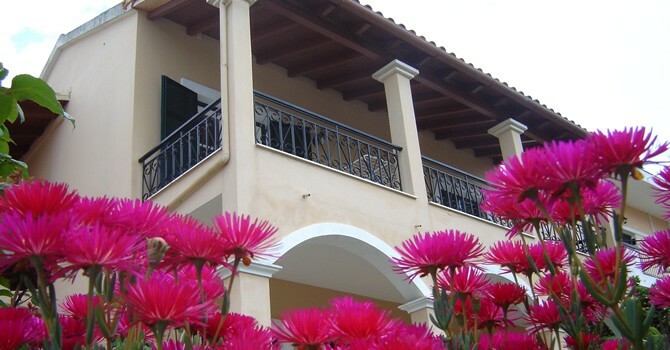 Traditionally Greek in style and surrounded by gardens, provides a peaceful retreat appealing to both families and couples. The Queen Cassiopeia, wife of king Cepheus of Æthiopia, was beautiful but also arrogant and vain; these latter two characteristics led to her downfall. In some source, she was daughter of Coronus and Zeuxo. Her name in Greek is Κασσιόπη, which means “she whose words excel”. The boast of Cassiopeia was that both she and her daughter Andromeda were more beautiful than all the Nereids, the nymph-daughters of the sea god Nereus. This brought the wrath of Poseidon, ruling god of the sea, upon the kingdom of Ethiopia. Accounts differ as to whether Poseidon decided to flood the whole country or direct the sea monster Cetus to destroy it. In either case, trying to save their kingdom, Cepheus and Cassiopeia consulted a wise oracle, who told them that the only way to appease the sea gods was to sacrifice their daughter. Accordingly, they chained Andromeda to a rock at the sea’s edge and left there to helplessly await her fate at the hands of Cetus. But the hero Perseus arrived in time, saved Andromeda, killed Cetus, and ultimately became her husband. Since Poseidon thought that Cassiopeia should not escape punishment, he placed her in the heavens tied to a chair in such a position that, as she circles the celestial pole in her throne, she is upside-down half the time. The constellation resembles the chair that originally represented an instrument of torture. Cassiopeia is not always represented tied to the chair in torment. In some later drawings she is holding a mirror, symbol of her vanity. In others she holds a palm leaf, a symbolism that is not clear. As it is near the pole star, you can see the constellation Cassiopeia the whole year from the northern hemisphere, although sometimes upside down.